The addiction to smoking gives a 50 percent chance of killing the user, which is three times riskier than playing Russian roulette. Another statistic shows that smoking is responsible for 25 percent of cancer deaths. Also smokers in their thirties and forties are five times more likely to have a heart attack as nonsmokers. Every eight seconds someone dies from cigarette use. Statistics also show that ninety percent of smokers start as children and adolescents. Six thousand children start smoking every day, on average, two thousand will be regular smokers, giving us eight hundred thousand new smokers every year. 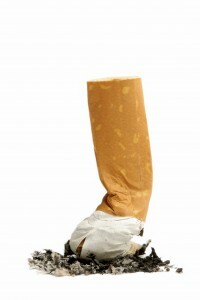 An estimated four million teenagers are smokers, giving us an average of twenty eight percent of smoking high schoolers. Seventy percent have tried cigarettes. As early as the eighth grade statistics are showing that over five percent are smokers. Psychiatric patients have the highest percentages of all smokers, thus proving that smoking is crazy. Statistics show that fifty percent of psychiatric outpatients are smokers. How about the ninety percent of schizophrenic smokers? Manic depressives, seventy percent. Alcoholics are another group that scores high in smokers, ninety percent. 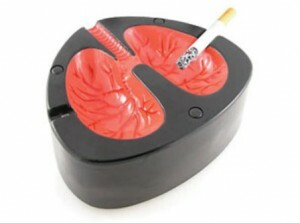 One hundred percent of humans start out life as non-smokers. Statistics show that almost all quitters within twenty minutes the blood pressure lowers and the temperature of the hands and feet returns to normal. About eight hours after quitting the balance of carbon monoxide and oxygen has returned to normal. The risk of heart attack begins to decrease at twenty-four hours. Nerve endings regarding the sense of taste and smell begin growing back after just forty-eight hours. In two to three weeks, circulation improves, the lungs work better, making all forms of exercise easier. As early as one month but as long as nine, the cilia, tiny hair-like structures that clean the lungs and prevent infection, work normally again. After a year the risks of heart failure and disease have decreased by half. 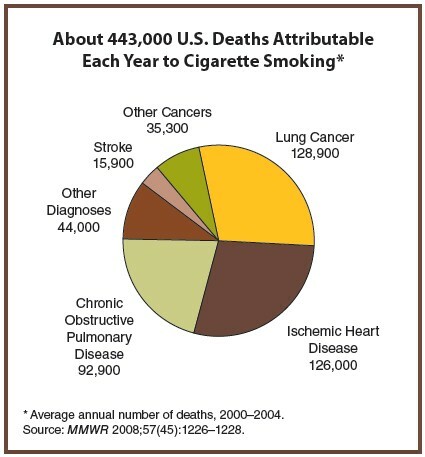 After ten years the risks of a smoker are nearly eliminated. Smoking addiction is an uncontrollable dependence on cigarettes to the point where stopping smoking would cause severe emotional, mental, or physical reactions. Research on why people smoke shows that smoking behavior is multifaceted. The factors that influence smoking initiation are different from those of smoking behavior. Nicotine dependence, genetic factors, and psychosocial factors influence smoking behavior. Nicotine is a highly addictive drug and also a potent psychoactive drug that induces a euphoric, reinforces its own use, and the user suffers from withdrawal syndromes when not in use. Nicotine possesses two very potent qualities, a stimulant, but also a depressant. This addiction affects the mood and performance of the user. Why is nicotine so addicting? It enters the bloodstream, through the lungs and through the lining of the mouth. 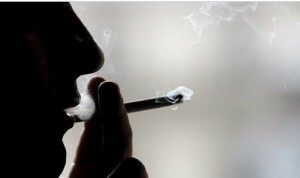 Although its effects are less dramatic than those of other addictive drugs, smoking doses of nicotine causes stimulation of the “pleasure centers” in the brain, which explains the pleasure and addictiveness of smoking. This is the reason why so many fail to stop, because they are addicted. This does not mean that you cannot stop, just expect that it is likely to be difficult. Nicotine stimulates the hypothalamic-pituitary axis, stimulating the endocrine system. One needs to continually increase levels of nicotine in order to maintain the stimulation. In regards to dependence, experts rank nicotine ahead of alcohol, cocaine, and heroin. Nicotine alters the dopamine and serotonin in the brain. It causes increases in heart rate and blood pressure. Small rapid doses produce alertness and arousal. Long drawn-out doses induce relaxation and sedation. The addiction of nicotine has a pronounced effect on the major stress hormones. Smoking addiction is classified as nicotine use disorder according to the Diagnostic and Statistical Manual of Mental Disorders. The criteria for this can include, tolerance with decreased effect and need for increasing doses, withdrawals after quitting, smoking more than usual, persistent desire, postponing work or other events to have a smoke, and continuing to smoke despite health issues. Nicotine withdrawal symptoms include, difficulty concentrating, nervousness, headaches, weight gain, insomnia, irritability, and depression. These symptoms will gradually fade within a month. Everyone knows that smoking is harmful and addictive, but few people realize just how risky and addictive it is. Chances are that about one in three smokers who do not stop will eventually die because of their smoking, on average, 10 to 15 years earlier than they would have died from other causes. Quitting is hard. It takes work. 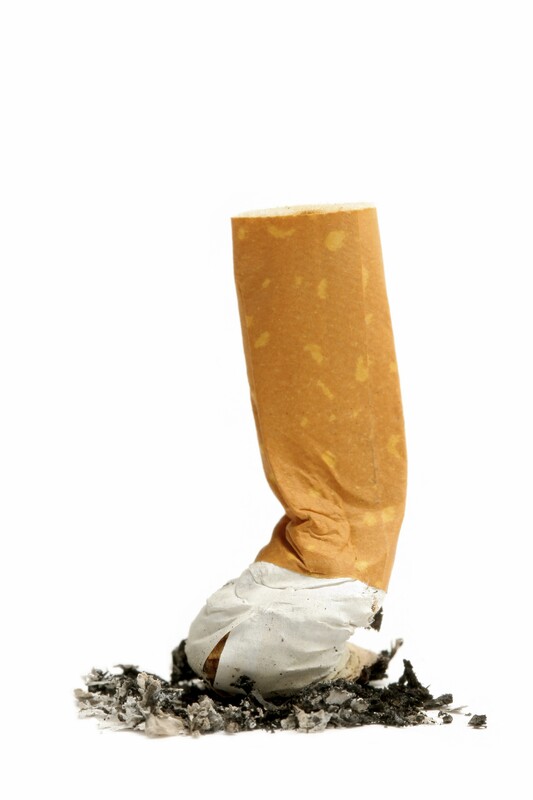 There are several tips to help you stop smoking, from those of us who have quit. Find what works for you and stick to it. If you slip and smoke, don’t allow yourself to be discouraged. Many quitters tried to stop an average of seven or eight times using varieties of methods before they were finally successful. Quit again, the very next day, and resolve not to smoke again. All of us have something that works for us, whether it’s a support group or a trip to the doctor for medication. If medication is an option, but the expense is too great, check with your company. Many companies are moving towards smoke free environments and will offer to pay for some or all of the medication. If this is not an option, tell your doctor, they can sometimes find ways to help alleviate the expense. Even with help, it is still a very hard addiction and habit to break. Finding what works for you is almost as hard. The obvious of keeping busy and staying away from smokers is a good advice, but what about the drive to work, or break time, or that very special no one is up yet quiet one in the morning. Find alternatives, change your routine, and fight the urge. If you pour yourself a cup of coffee and have a smoke at the kitchen table, take your coffee to the living room. Just that slight change of routine will help. If you need a physical substitute, experts recommend hard candy, I personally took that a step further and used tootsie pops. I got the same hand to mouth fixation and even held the stem like a cigarette. Many people don’t want to tell others they’re quitting, then they won’t disappoint anyone if they fail. As I said earlier, if you slip, quit again the very next day. Take pride for every hour you go without a cigarette as your family and friends should. Set the date, share it with everyone, ask for their support. In the time leading to the date take notice of when and where you smoke and begin to change that routine. Also in that time only allow yourself one or two places to smoke, but not where you smoke now. Think about how you feel when you smoke and how you’ll feel once you’ve quit. Also start fighting urges, even if you only put off the cigarette for a few minutes, try chewing gum, hard candy, or even a glass of water. Buy a different brand and only one pack at a time. The night before you quit, put away your ashtrays, lighters, and anything else associated with your habit, get it out of sight. Start thinking that you are a non-smoker. If you have any cigarettes left at the end of the evening, get rid of them, get them far away from you. It’s best if you can plan the last pack to be gone when you go to bed. Start your morning out differently. Avoid the place where you have your first cigarette of the day, and believe me, that is the hardest to leave behind. Plan to keep busy the whole day, if possible be with people who don’t smoke, yet will be supportive. Every day you don’t smoke, give yourself a reward, after the first week, the hardest, start a money jar, put your old cigarette money into it and see everyday how much you save. Most of all keep a positive attitude and you’ll eventually laugh at how easy it was.